or I can control Alice. 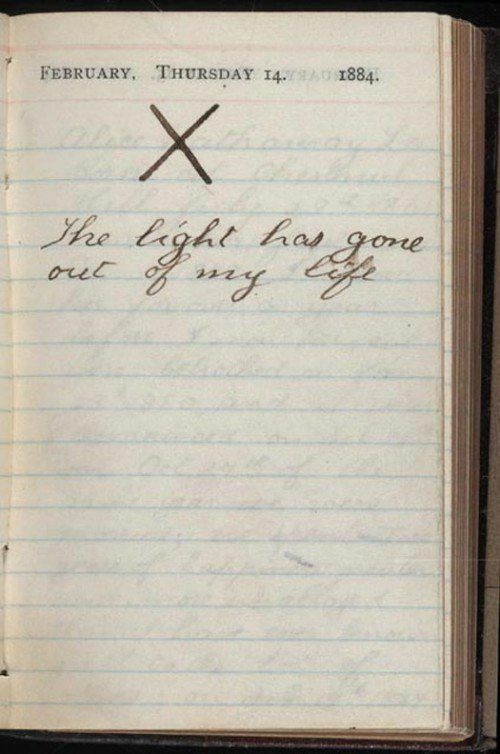 On Valentine's Day 1884, Theodore Roosevelt’s mother, Mittie, and his wife, Alice Lee, both died in the family home. Mittie was 48 when she died of typhoid fever. Alice Lee had given birth to their daughter Alice two days before she died of Bright’s disease, a severe kidney ailment. Theodore Roosevelt poses in a New York City photographer’s studio. 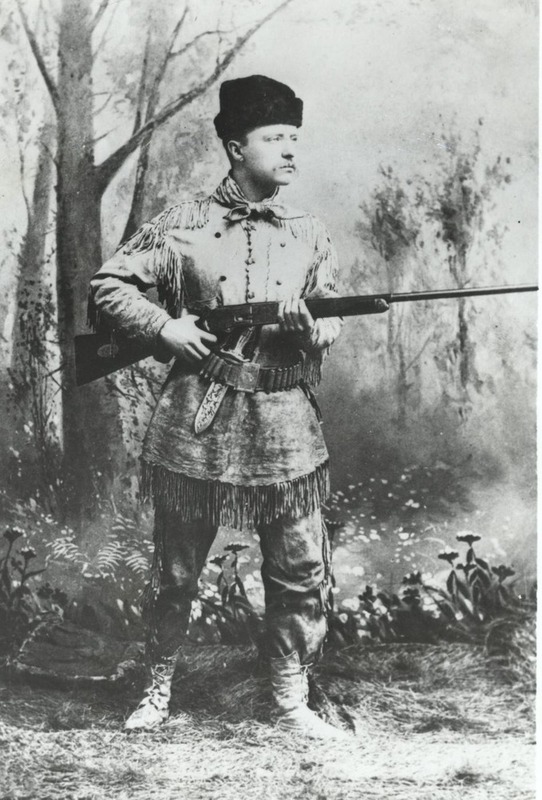 Roosevelt, overwhelmed by the loss, asked his sister to care for his infant daughter while he moved to the Dakota territories. Two years later he returned to New York and married Edith Kermit Carow. and was always something of an individualist . 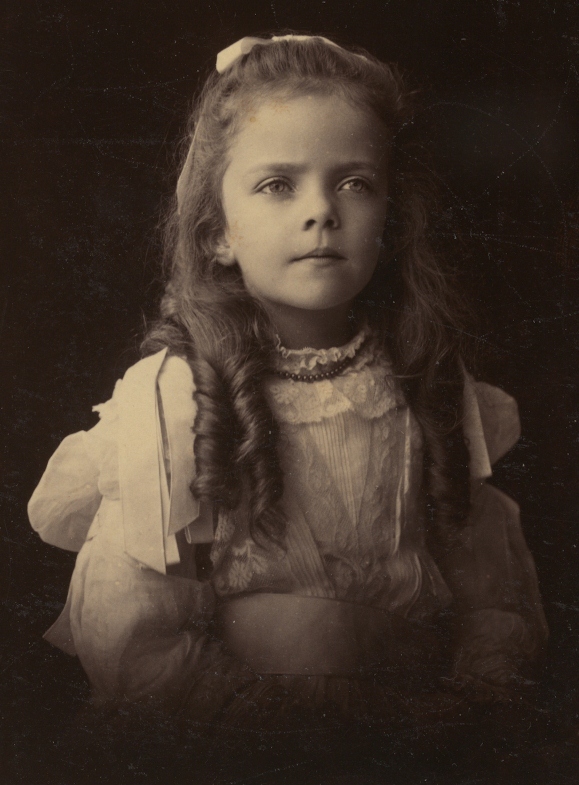 . .
Alice, headstrong and independent, had a difficult relationship with her step-mother, with her father, with authority, and with the feminine expectations of the 1900's. 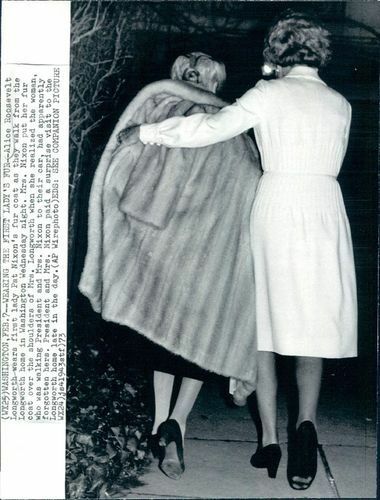 Alice became a frequent topic of the gossip columns. 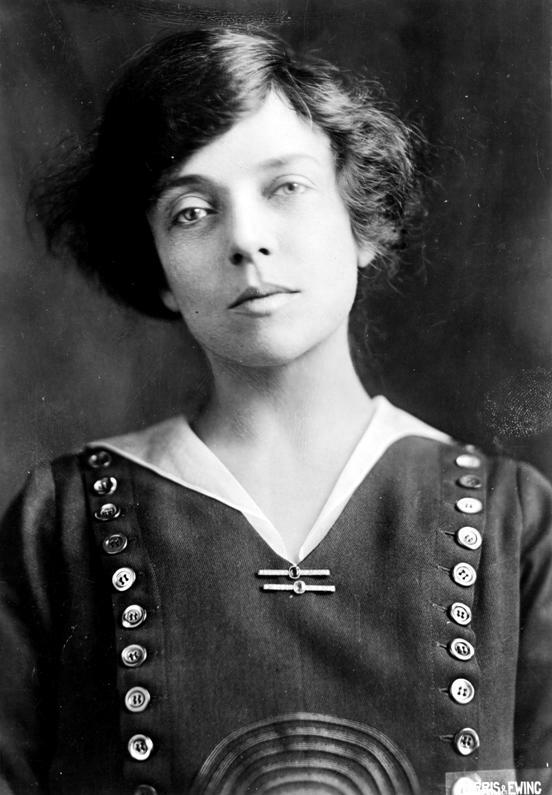 She refused to be shipped off to school in Manhattan, threatened, that she would "do something disgraceful". She smoked in public, chewed gum, wore pants, raced her car on D.C. streets, sometimes with male passengers and always unchaperoned. 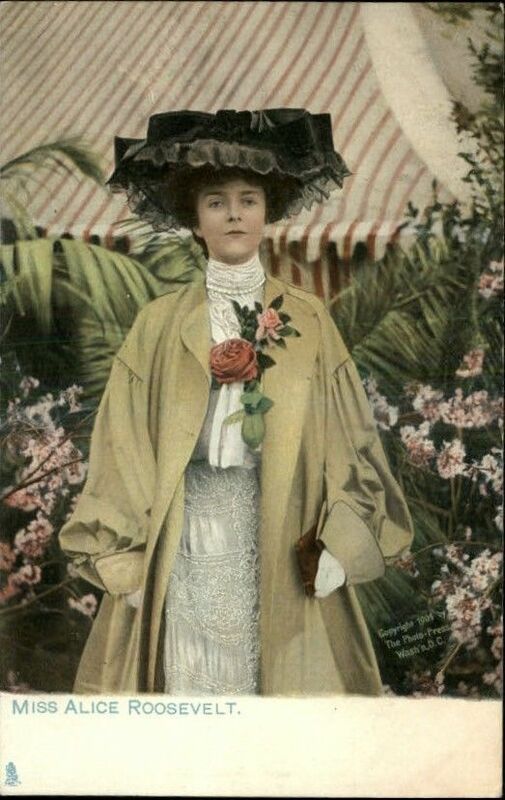 She carried her pet boa constrictor around her neck and she was seen in establishments of ill repute placing bets on horse races. She also caroused with the children of the elite, an extreme embarrassment to her trust-busting father. 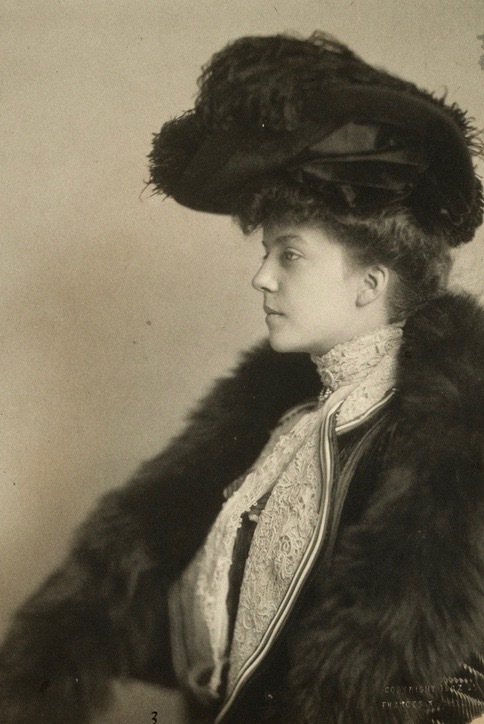 Called "Princess Alice" and "The Other Washington Monument", she became a celebrity and fashion icon for a generation of Gibson Girls. 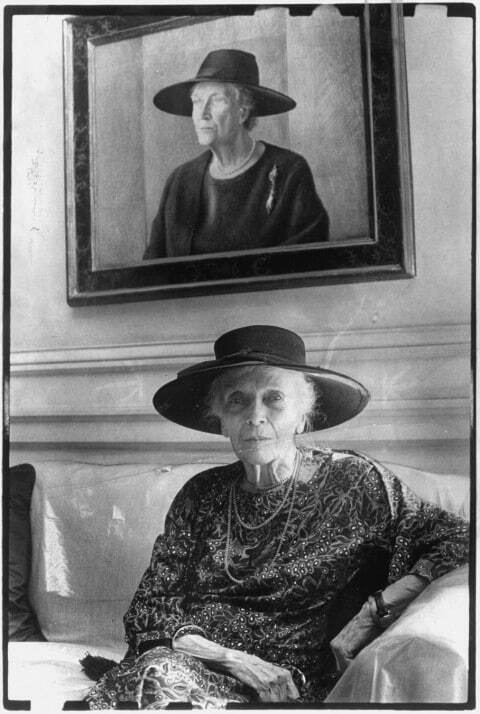 A shade of blue she favored became extremely popular and was known as "Princess Alice Blue". 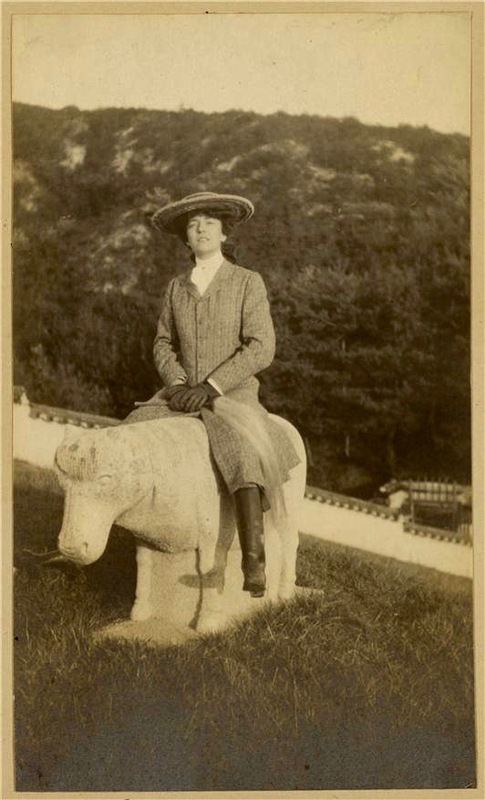 Alice Roosevelt, sitting on a stone animal in Korea. 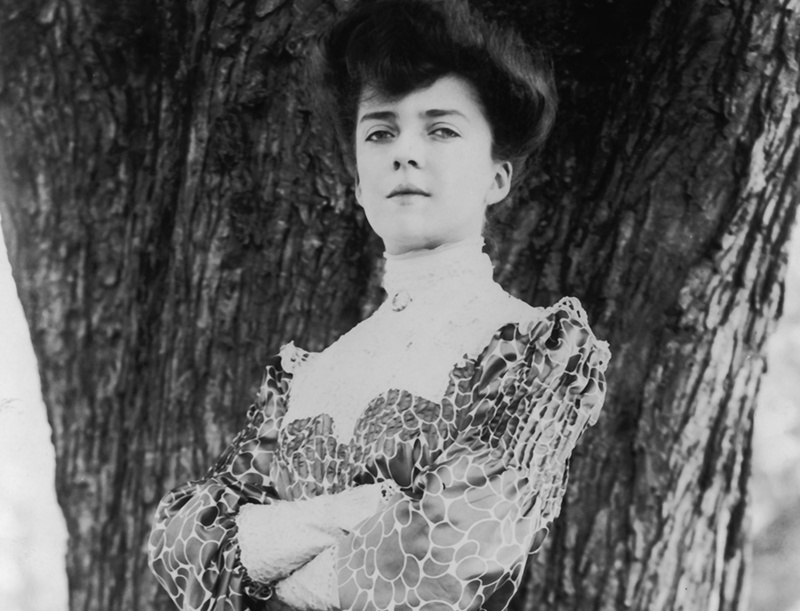 President Roosevelt, wishing to capitalize on her popularity while limiting the local gossip sent Alice on a 1905 congressional junket to the Far East. Billed as the largest diplomatic mission in U.S. History, the junket's participants included Secretary of War William Howard Taft, Alice's future husband Ohio Congressman Nicholas Longworth, and 29 other politicians. 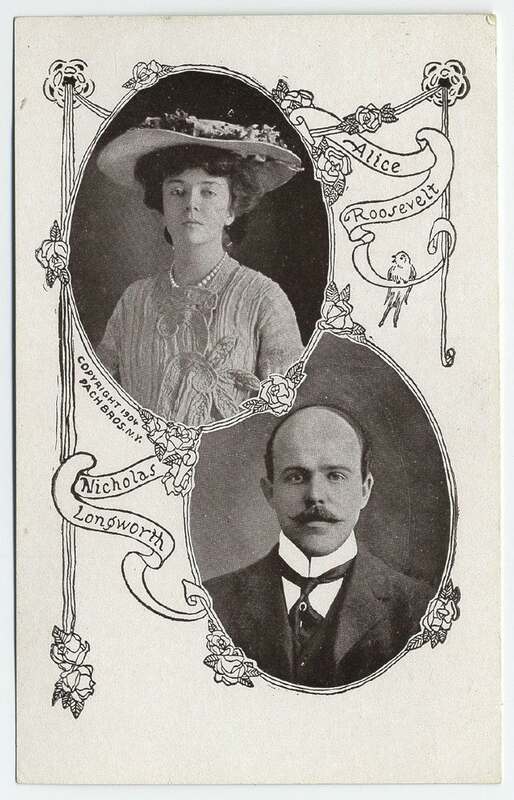 Longworth, 15 years older than Alice, a hard drinker, and a philanderer, engaged in antics with Alice like jumping fully-clothed into the ship's pool. Taft attempted to chaperone the pair, creating a strained relationship and Alice was eventually banned from the Taft White House after she buried a voodoo doll of Mrs. Taft in the White House front lawn. 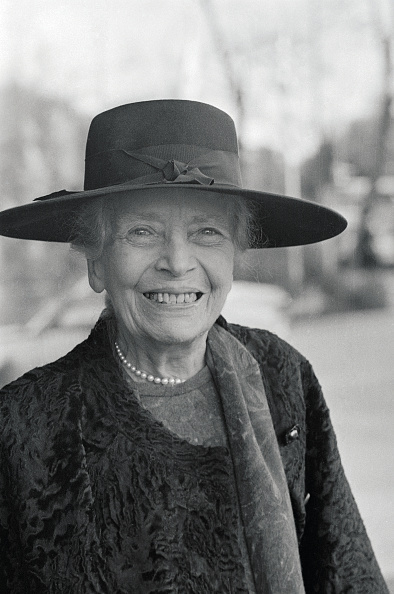 She campaigned against Franklin Delano Roosevelt and was disdainful of her popular cousin. She was supportive the Kennedys and had a friendship with Richard Nixon until he misquoted her father during his televised resignation speech. A life-long smoker, she had two mastectomies. 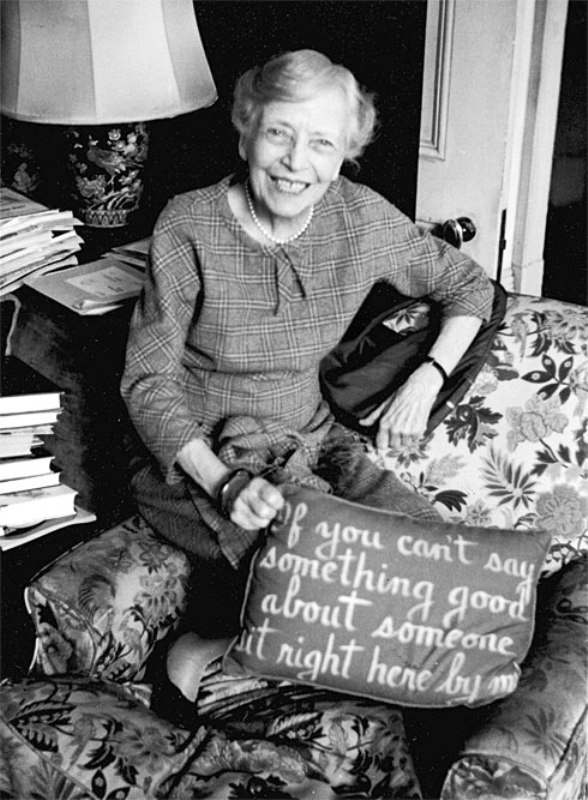 She died in 1980, at 96.